(KPL) Sikhottabong Stupa festival is held annually during the full moon in February (Feb 19, 2019) and it is celebrated over several days. 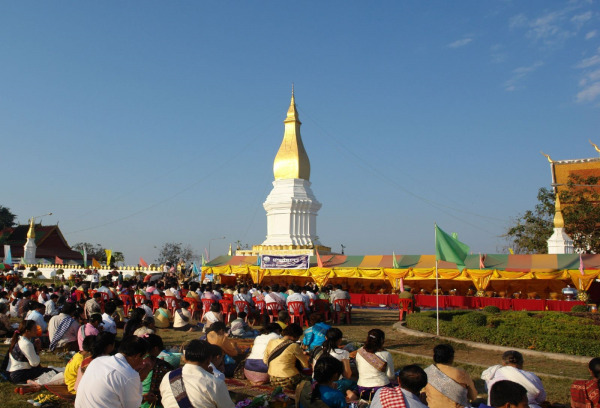 Sikhottabong stupa is a piece of old architecture in Thakhek District, Khammuan Province. On the full moon of the third month, the annual rite is organized by the Khammuan people.